Holi Discussion Post: Who Do You Most Want to Color? I’m traveling today so I can’t write a real post, but I can respond to fun comments! Let me try to incite such comments, if I can. Which character/actor do you most want to put Holi color on? And what color and how? I will give you an example. 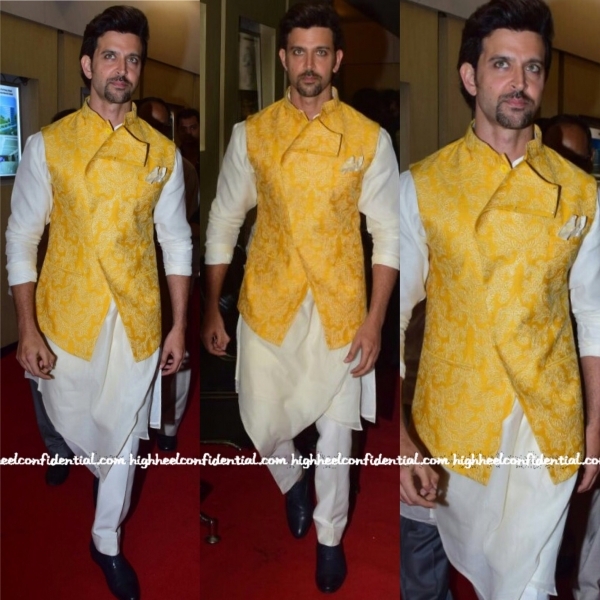 I think Hrithik is making terrible decisions with his career, I want to dunk him in a whole pool of color and turn him yellow (because yellow looks bad on him) and shock him into rethinking his life. Also, I want to take perfect untouchable unmoveable Shahrukh from Chak De India in his perfect button shirt and pants, and grab him and smear red colored powder all over him. Kunal Kapoor – because, deep down, we all want to deface a work of art – throw tomatoes at the Mona Lisa, spray graffiti on the Taj Mahal…. Would he be as striking with a face full of Holi colors? Probably. Any man that can pull off a man bun can certainly handle a little color. It would only accentuate the perfect planes of his face. Still, I’d like to give it a try.